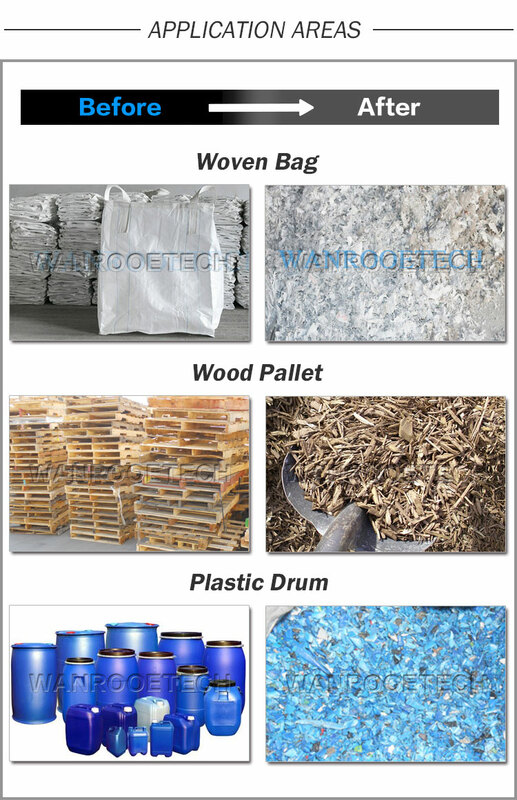 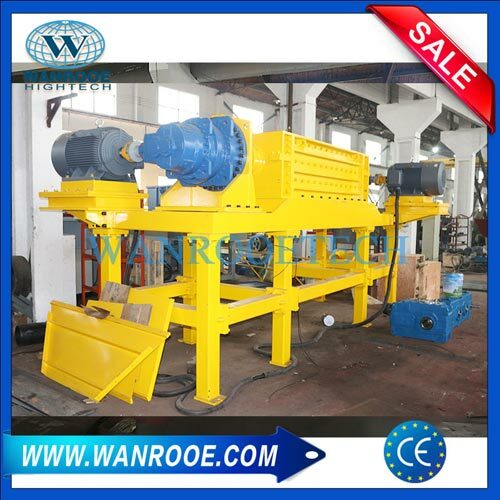 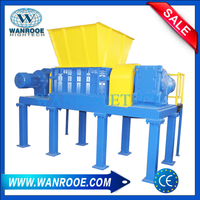 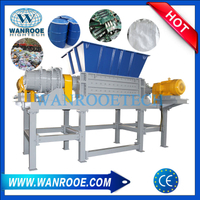 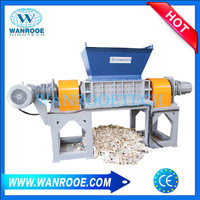 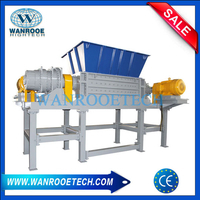 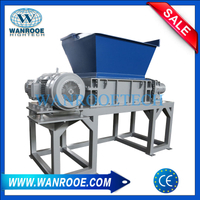 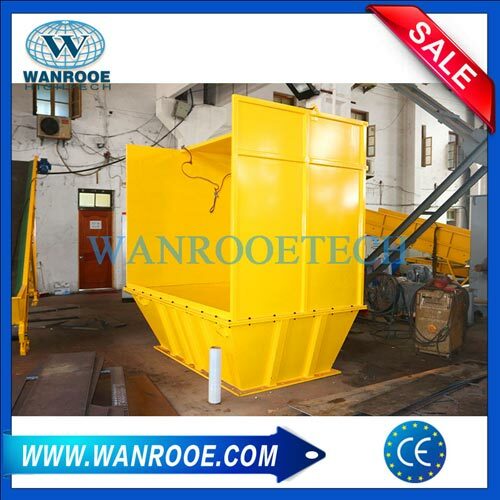 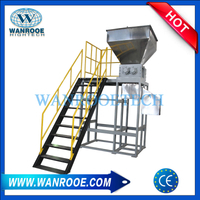 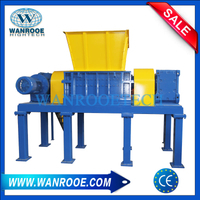 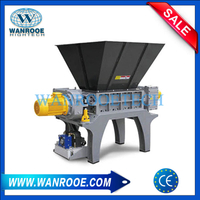 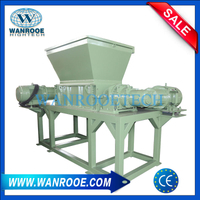 Plastic Car Bumper Shredding Plastic Bottle Double Shaft Shredder Machiner with loading hoppers, equipped with high quality cutters with low rotation speed for a lower energy consumption and noise reduction. 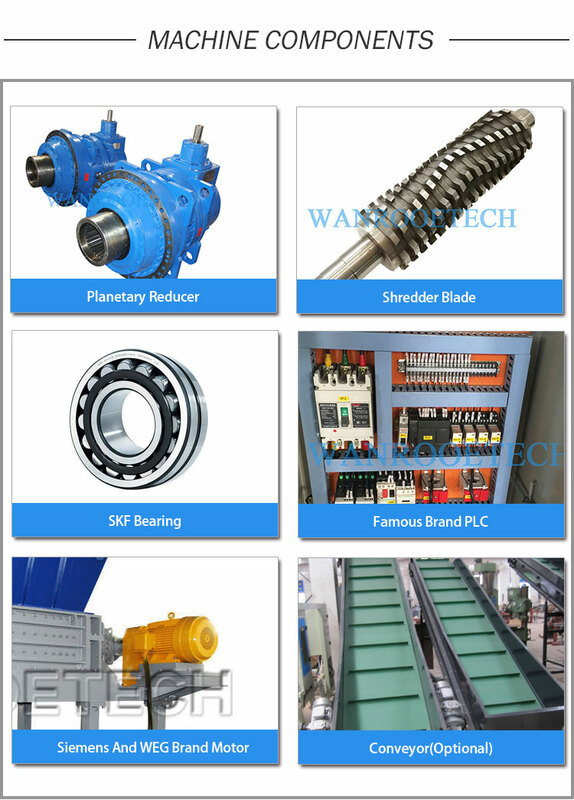 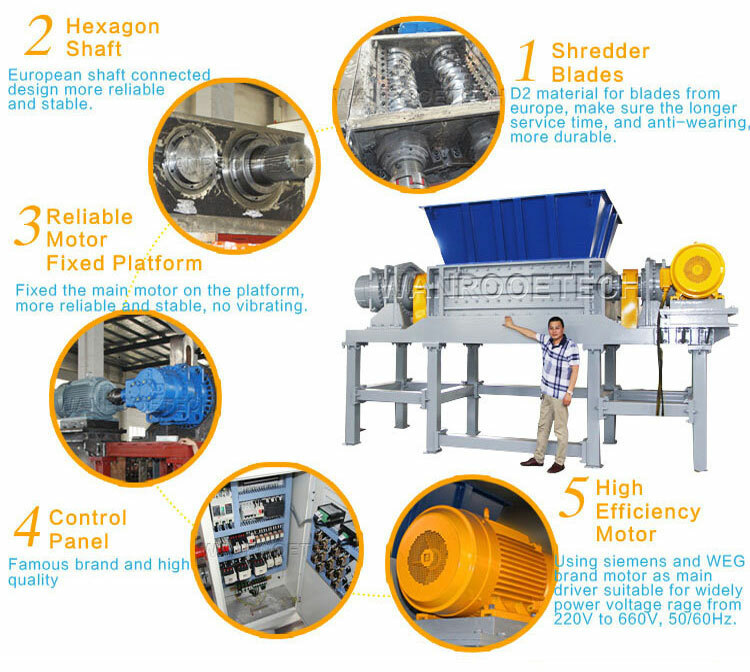 It incorporates two counter-rotating shafts that intermesh with each other(2 shafts with sharp elements constituted by sharp-corners disks provided with hooks; Every hook has the task to hook the product and drive-it by the action of the two counter-rotating shafts). 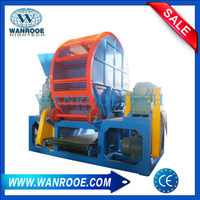 The material is powerfully torn and shredded by the talons of the cuttings discs. 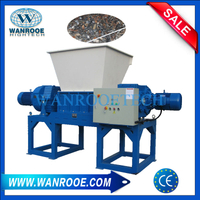 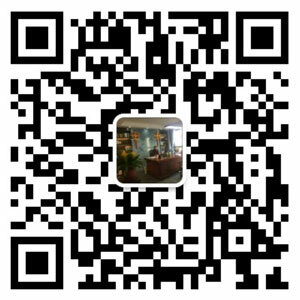 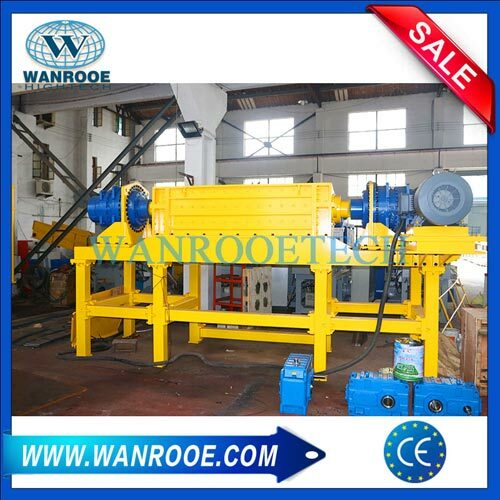 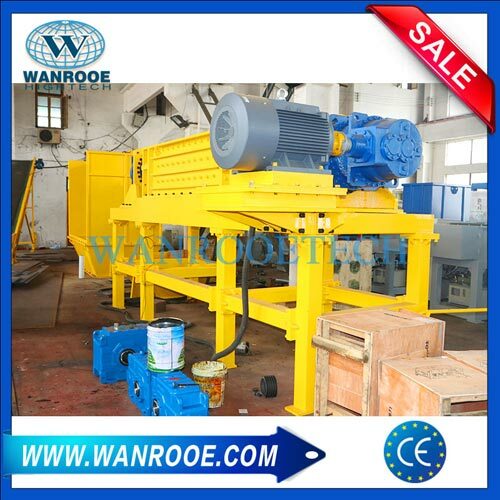 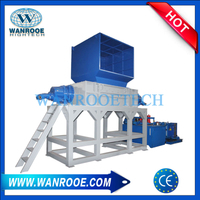 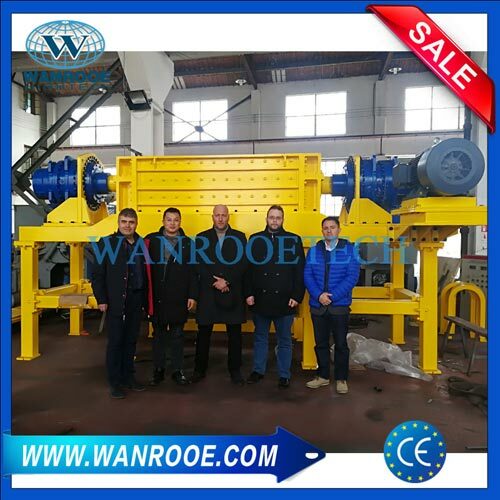 Specially designed rotor makes the shredder be extremely wear resistant.